University of Advancing Technologies – Artworks PHX – a business-arts campaign in Phoenix, Arizona USA. UAT’s partnership with Ballet Arizona gives dancers an encore performance in technology. 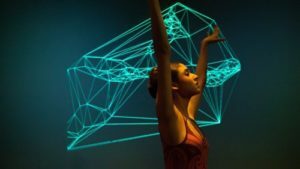 The University of Advancing Technology (UAT) has always recognized the correlation between the art of technology and the art of dance, and now UAT is offering a unique scholarship that’s banking on it. The UAT Dancers of Ballet Arizona Scholarship covers up to half the tuition, which could be more than $40,000, for current dancers, or for those who decide to pursue technology degrees within one year of leaving the Company. The partnership began when UAT President Jason Pistillo met ballerina Kenna Draxton at a Ballet Arizona event. A fan of the ballet art form, Pistillo has long admired the dedication and determination of dancers. What he didn’t realize was the challenges they face when their careers end. He learned of dancers who, after dedicating their lives the art of dance, have little to no college education, making it difficult to pursue future careers. Ballet dancers are living the dream, but it’s also a short-lived career. The partnership is beneficial for retired ballet dancers and UAT. For dancers, it’s an opportunity to pursue promising technology careers at a fraction of what it would typically cost. For UAT, it’s an opportunity to recruit the kind of dedicated, hard-working, determined students that all universities desire.